This weekend will play host to the latest global Splatfest for Splatoon 2. The theme this time around is inspired by Super Smash Bros. The team choices are Heroes Vs Villains and participants must choose which side they want to play on. Shifty Station makes an unsurprising return and will feature a unique layout. 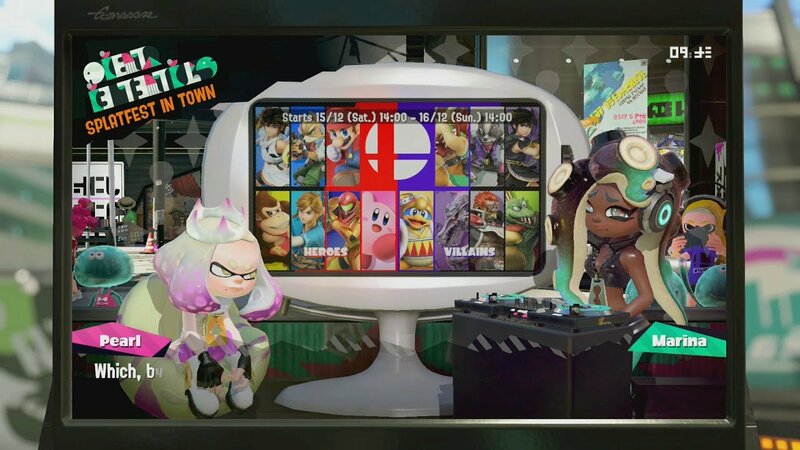 The official Japanese Splatoon 2 Twitter account has shared an image of how the stage will and give players an idea of what to expect.